The British Science Fiction Association has released its shortlist for the 2018 BSFA Awards, and I’m delighted to see Embers of Warin the running for Best Novel, alongside books by my friends Emma Newman, Dave Hutchinson and Tade Thompson. If you are a BSFA member or are registered to attend this year’s Eastercon,you can vote here. 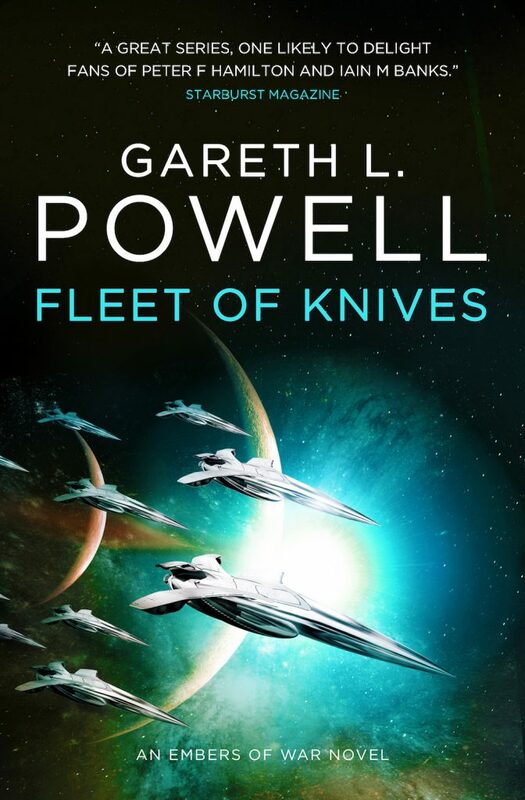 The cover for Fleet of Knives, the second novel in the Embers of War trilogy, has been revealed over on the Barnes & Noble Sci-Fi & Fantasy Blog. 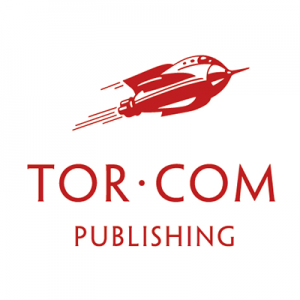 Titan Books will publish the novel on 20th February 2019. Indian technology news service FactorDaily has included my novel, Embers of War on its list of ‘contemporary classics’ of science fiction, alongside books by Ian McDonald, MR Carey, Cixin Liu, Adam Roberts, Nnedi Okorafor, and Annalee Newitz. One could convincingly make a case that we’re truly living in a new golden age of SF. 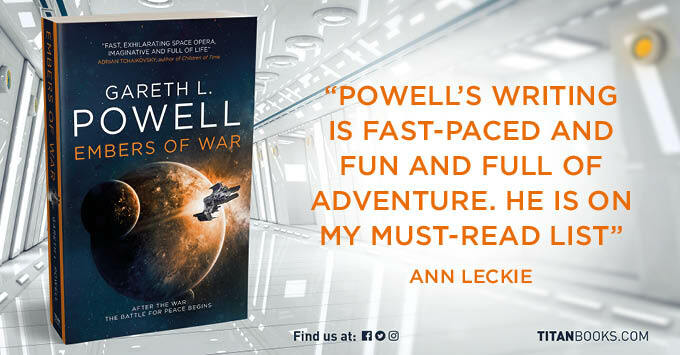 New and diverse voices, great writers everywhere are pushing the possibilities of the genre, reinventing and reshaping SF and going boldly where no SF author has gone before. To read all of them would take half a lifetime and to write about them more so. But over the course of the 2-year run of New Worlds Weekly, we’ve put the spotlight on a few books that aren’t just great reads, but original, thought-provoking, each a classic it in its own right. I’m delighted to be able to tell you that translated editions of Embers of War, Fleet of Knives, and Light of Impossible Stars will all be published in France by Denoël under their Lunes d’encre list. 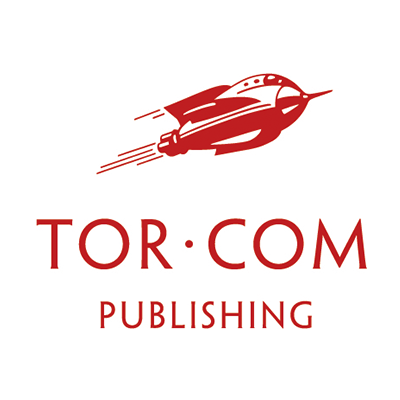 The deal was negotiated by my awesome agents, C&W, and the first book should appear in the first half of 2019. Aliette de Bodard, winner of the Nebula, Locus and BSFA Awards, teams up with BSFA Award-winner Gareth L. Powell to present an uplifting short story of machines and humans, of intense emotions and cutting-age technology culled from tomorrow’s headlines. 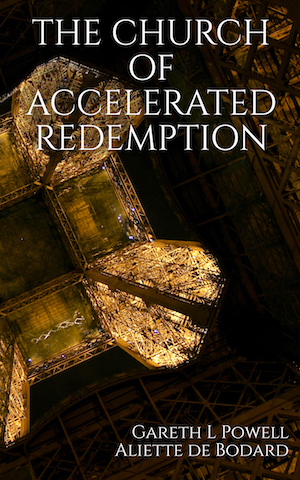 Installing a network for the Church of Accelerated Redemption is just another crappy job in a series of crappy jobs for Lisa, an American engineer stuck doing menial work in Paris. That the Church uses artificial intelligences to power its never-ending prayer machines doesn’t interest her at all: they’re paying, and she needs enough money to survive in an increasingly crumbling world. Until a demonstration outside the Church’s headquarters, and the appearance of Stéphane, an enigmatic man Lisa finds herself powerfully drawn to. What lies beneath his headscarf, why is he so interested in the Church–and how far will she be willing to go in order to earn his trust? Gareth L Powell Joins The Luna Family! The Luna family is delighted to welcome Gareth L Powell! And a huge thank you also to his agent, Alexander Cochran from CW Agency UK. 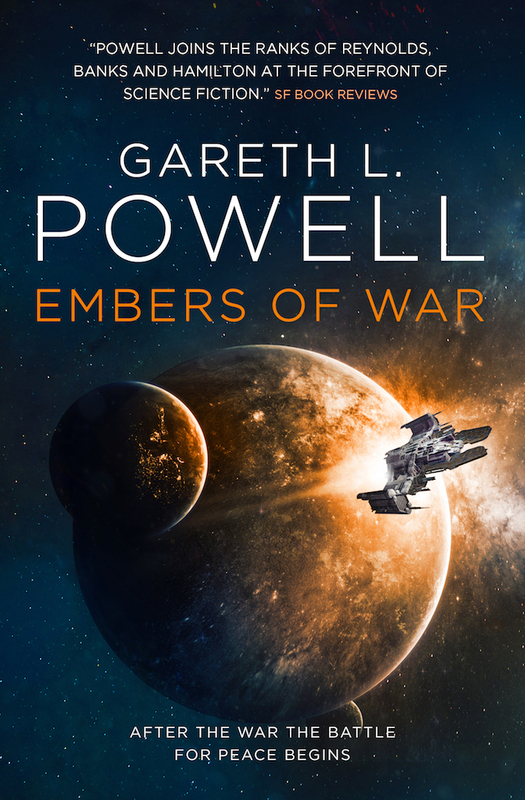 Most of you will know Gareth for his SFF novels and short stories – from the award-winning Ack Ack Macaque trilogy, to the recently released Embers of War. 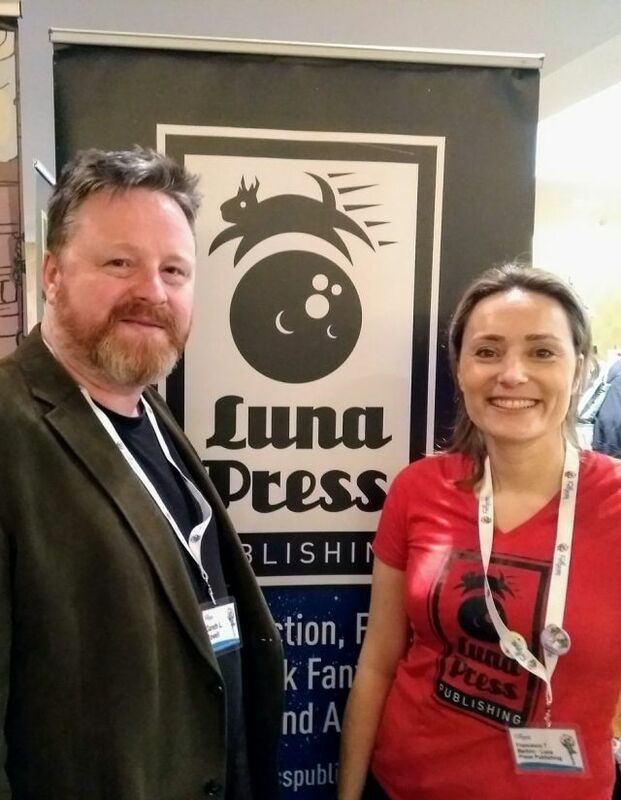 Gareth will be contributing to our Academia Lunare section, on a project that will be of particular interest to his many fans and any aspiring writers: Gareth L Powell – About Writing. Gareth has been on the scene for several years now, establishing himself as one of Britain’s best SF voices. Not only that: his easygoing nature makes him incredibly approachable to his fans who, by the way, are growing by the day. He’s there for them – a strong, creative and useful social media presence, happy to inspire and nurture. There are many aspiring writers among Gareth’s followers and friends, along with the rest of his fans, who will definitely appreciate this new book. When I read the manuscript, I felt inspired, hopeful and comforted. It’s like having a kind mentor sitting next to you, encouraging you to write a little more when you are tired, or to make a start when you don’t think you can. I do believe this field journal will help many people. And even if you aren’t a writer, you can still benefit from it, in the way it gently accompanies you through whatever creative journey you are on. “There are some things nobody will ever teach you on a creative writing course. The book will be out in 2019.